In a note distributed to all Isobar employees, Isobar Global CEO, Jean Lin, explains her thoughts on why the industry needs to change. We are now living in one of the most interesting and exciting times in human history. From driverless cars to AI doctors that provide personal health recommendations to voice-enabled personal assistants – technology is impacting our everyday lives and businesses. Advancements in technology have changed the marketing and communications landscape, presenting the industry with a unique opportunity to create, distribute, and optimise compelling experiences. The power of creativity in the digital economy is the differentiator that drives business innovation and truly serves human life, with marketing being a company’s sensor to a customer-centric world. The only limit is our own imagination. We could look back on the business landscape of the past, as a calm and open sea. It was prone to the odd storm, but on the whole, its waters were fairly stable. In recent years, digital has become the undercurrent driving change and some big boats have gone under. In this metaphor, I see our agency as a team of speed boats riding the waves. We’re agile and nimble, buoyant as we battle waves brought to us and our clients, by the fierce force of digital. Some of our more homogeneous competitors, cannot turn as easily to adapt to the changing conditions. In this fast changing world, you can’t expect to fulfil all the skills you need for client demand organically. So we have invited like-minded entrepreneurs and pioneers to join us on our Isobar journey and ensure that our capabilities have developed in response to client demand. From commerce, to user experience, to service design, to consulting, the make-up of our agency has been strengthened to become a global agency of local experts. Together with our organic growth, this has helped us move from 3,500 people in 2015 to the 6,500 people we are today, united as one to deliver our mission. Over the last year, we have been enhancing our approach to provide market-leading solutions to help our clients win in the digital economy. Digital disruption has changed the game for how brands are built and brand experience must be delivered at every touch point of the consumer journey. So, we have evolved our offering in response to client demand surfaced by this global paradigm shift. 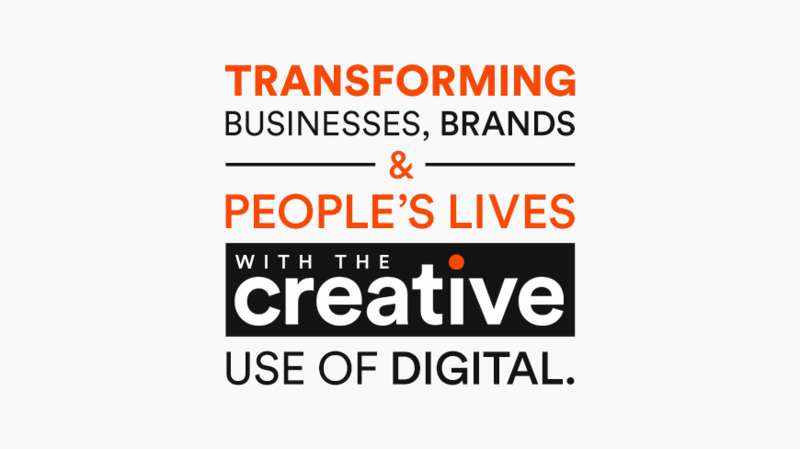 At Isobar, we aim to transform businesses, brands, and people’s lives with the creative use of digital. Through evolving our offering to serve businesses and brands in the digital economy, we’re able to build brands and experiences that engage customers, construct holistic systems that define businesses and brands, and create new offerings that generate value. This enables us to deliver digital transformation powered by creativity through our three core pillars – digital marketing, digital ecosystems and digital products. Our teams of people are embracing the two most important transformation opportunities that digital can provide – help our clients to disrupt the business verticals with digitally enabled products and services, and connect brands with people by bringing brand inspirations closer to transaction. In a world where a brand’s product, services and marketing are more connected than ever, agencies need to connect the dots. It is important that we always embrace the potential of disruption and as agencies, evolve our offering in response to this. We are in a business that is constantly evolving. Digital agencies came to the fore some twenty years ago to disrupt the creative and media agency sector. Our belief is that as an industry, we should be more than consultants, because at Isobar we put creativity and craft at the heart of our culture. We need to help our clients to invent creative business solutions, and deliver them at scale, generic consultancy thoughts are not enough to win in the digital economy. We are also different from traditional agencies, because many of our entrepreneurs came from diverse consultancy, technology, and design disciplines, and we know the best way to help our clients is to dive into the industry verticals, to optimise strategy through managing delivery and outcomes. Our heritage has data in the core with the discipline to know consumers inside-out, which is the reason why we can be agile in delivering creative business solutions for our clients. We have strong technology and innovation credentials, and that is the reason why we can connect compelling brand experience with powerful platforms and commerce enablement. Creativity and innovation are in our DNA and are our relentless focus. Embracing the potential of disruption is what we practice every day. We are standing at the intersection of consultancies and agencies, commerce and experience, creativity and technology. We are uniquely placed to disrupt this sector- holding companies and consultancies are moving in towards us, while we are already here, and always here. We are about “AND” and not “OR”. We must innovate and evolve, ahead of the curve, to take the lead in the journey of digital transformation, powered by creativity. To explore the full potential of disruption we practice every day how to deliver Ideas Without Limits – pushing the boundaries of technology and creativity.